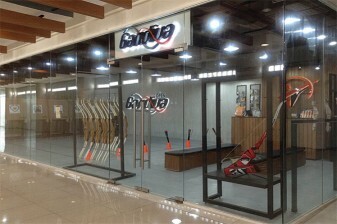 Nestled at the fourth floor of Gaisano Mall’s Adventure Zone is the first-ever indoor archery range in Davao City. Since being established in 2016, Gandiva Archery Range Davao has never stopped making waves in the city, fulfilling every childhood dreams and athlete goals. With their 10m range that can accommodate 7 people, they guarantee nothing short of a fulfilling and thrilling experience for every kind of archer! Gandiva Davao offers affordable trial rates starting at P200 for 20 arrows that already comes with equipment rental and coaching assistance. Annual membership packages are also available. Want to be a sharpshooter? Don’t worry, they offer archery lessons at P8,500 - inclusive of 15 hours training with their head coach, free use of equipment, free target faces, and a certificate of completion. Aside from the trials and lessons, you could also book the place for team-building sessions and parties. There would also be no need to look far just to get the archery equipment you want because they also have available equipment in store. Broken equipment? They have an armory for all your archery needs. Over the two years of its presence in Davao, Gandiva has helped develop the potential of archers inside and outside of the city. Many archers’ journey in the sport started with Gandiva Davao. It is every archer and archery enthusiasts’ dreams. And it is Gandiva’s dream come true to see how the people in Davao region has embraced archery as a sport and a lifestyle.